Mark & Chappell Healthy Bites Nutri Booster Kitten Treats have been carefully formulated as a nutritionally balanced treat with real salmon flavour for kittens from 8 weeks of age. They contain anti-oxidants to help support immune system, and have no added colours, flavours or preservatives. They supply a source of taurine to support a healthy heart and vision development. Crispy outer shell with a healthy cream filled centre. 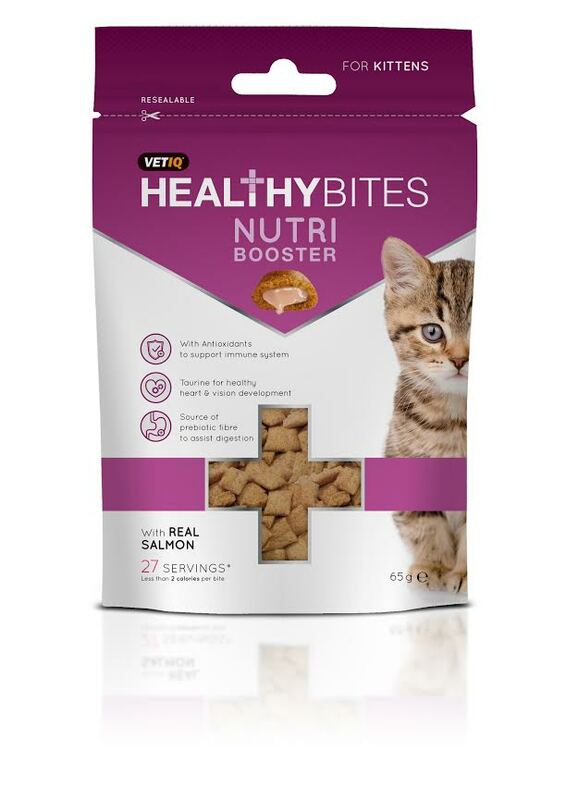 There are currently no questions for Mark & Chappell Healthy Bites Nutri Booster Kitten Treats - be the first to ask one!